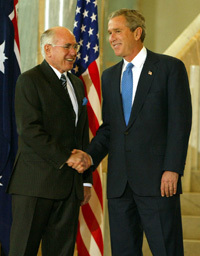 Rubenerd: All You Would Ever Want To Know About John Howard! All You Would Ever Want To Know About John Howard! Stumbled across an aggregation website dedicated to showing articles about John Howard, my birth country of Australia's conservative Prime Minister who I think is a bit of a whackjob ;). Looks like my kind of site! Older post → The Desk: Singapore Move… Again?